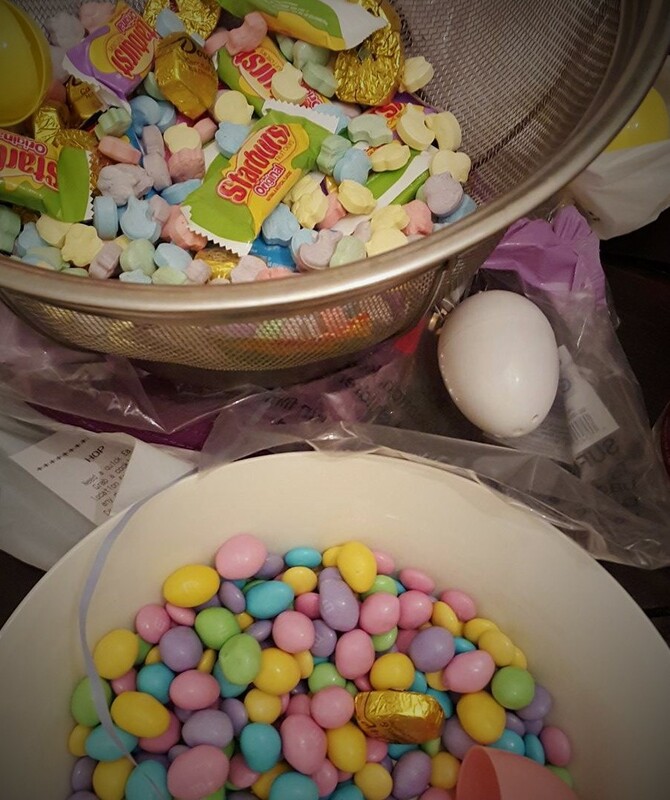 As I filled many little fake plastic eggs for my way-too-old-for-this children (one of which is 20), it was not lost on me that perhaps since I know that sugar is poison and really has no place in a healthy lifestyle, that I should not feed copious amounts of it to my kids on holidays. Particularly since my son definitely has a penchant to overdo. We recently stopped buying cereal after numerous warnings to him about the 1/4-1/2 cup of sugar we kept catching him adding to it. I have no illusions that at 14 years old, I am going to convince him to not eat sugar all the time. But I CAN control what he eats at home with us! I did not give in to the spoiled little girl inside that wants what she wants when she wants it!!! And I won’t today either. And WHY not? Because I FEEL GOOD DAMNIT and I want to KEEP feeling good!